On a visit to Beirut, Mohammad Javad Zarif extends offer for Iranian military assistance to Lebanese army. Iran’s foreign minister, Mohammad Javad Zarif, on Sunday visited Beirut where he extended an offer for Iranian military assistance to the US-backed Lebanese army, according to The Associated Press. Zarif spoke to reporters at Beirut’s airport shortly after his arrival in the Lebanese capital for a two-day official visit. “We are always ready (to support Lebanon militarily) and we have announced that on many occasions. This tendency does exist in Iran, but we are waiting for this desire to be there on the Lebanese side,” he was quoted as having said. 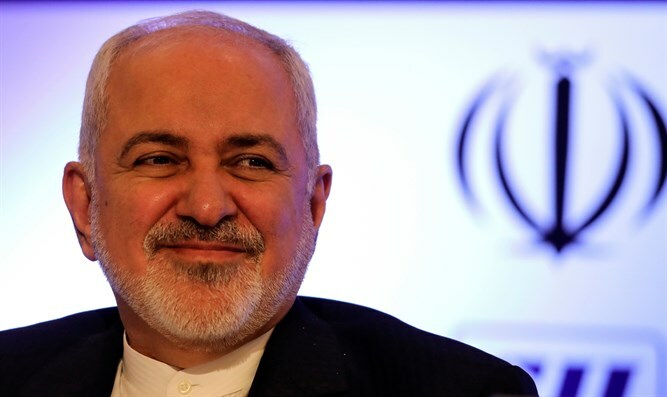 Zarif’s comments came a few days after Hassan Nasrallah, the leader of the Iran-backed Hezbollah group, urged Lebanon’s government to accept anti-aircraft weapons from Iran to confront Israeli aircraft. He also said Iran was ready to provide Lebanon with electricity and medicine. The United States, which lists Hezbollah as an armed terrorist group, backs the Lebanese army through a program that aims to strengthen the military as the sole military force defending the country, noted AP. Hezbollah is Iran’s proxy in Lebanon, with the Islamic Republic having provided it with support over the years. In October, American and western intelligence sources said Iran was supplying Hezbollah with Global Positioning System (GPS) components to make previously unguided rockets into precision guided-missiles. Zarif’s visit to Lebanon follows the recent formation of a new government in Lebanon, headed by Prime Minister Saad Hariri, who is backed by Iran’s regional rival, Saudi Arabia. Hezbollah, which has a strong political presence in Lebanon, is a major partner in the new cabinet and received an increased number of ministries. Among other things, the group named the health minister, marking the first time it controls a ministry with a large budget. Zarif is the first senior official from the region to visit Lebanon since the new government was formed. He was met at the airport by a minister from Hezbollah and other officials from the Shiite group. Hezbollah is blacklisted as a terrorist organization by the West and even by some Arab countries, but some of those designations, most notably in the EU and in Britain, make a distinction between Hezbollah’s “military wing” and its political arm.